From the “Green Line” (B): Take the B line to the last stop, “Boston College” (E1 on the campus map). Cross the street and walk by St. Ignatius Church and follow the perimeter road around to campus entrances. 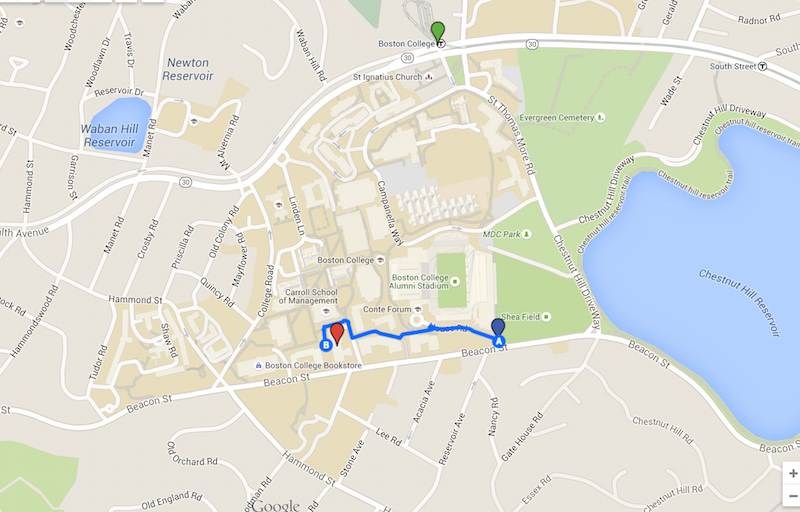 If walking, follow campus map to McGuinn Hall (C3 on campus map). From the “Green Line” (D) or the 86 bus: Take the D line or the 86 bus to “Reservoir (Cleveland Circle)”. Take the Boston College shuttle, which stops there (no IDs necessary), to Conte Forum (D2/D3 on the campus map) and walk toward McGuinn Hall (C3 on campus map). The metered parking (20 minutes each quarter, max. of 3 hours) is on the westbound side of Beacon St. heading toward Newton. These are all in and around the vicinity of the cross street Lawrence Rd. The 3 hour free parking spots are on the eastbound side of Beacon St. heading toward Boston in the same vicinity of Lawrence Rd. These are also very close to McGuinn. Garage parking is available in the Beacon Street garage at 1103 House Road (blue marker). After leaving the garage, take the path to the left of the circle and continue, passing in front of Merkert Chemistry Center and Campion Hall. You will arrive at the front of McGuinn (red marker). 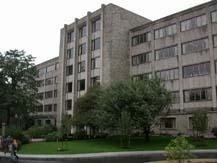 The lab is in room 326 on the 3rd floor.